The Road Ranger Blog: Classic International. 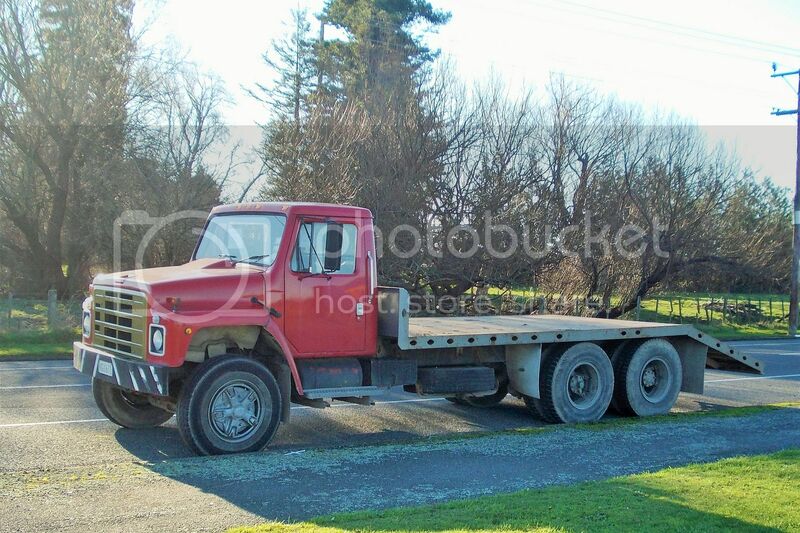 I saw this International for sale on the side of the road in Masterton. It's a 1979 S1900. Seems like the ideal machine for use in classic truck events. You could even carry something else on its back. I haven't seen many of this model in NZ. We usually had the bigger models which had a more set-back front axle and I suspect a longer bonnet for the big Cummins that was the usual power plant. I have no idea of the price or the engine size, but it did appear to have a Roadranger with no splitter (overdrive).